According to rental site Zumper, median rents for a 1-bedroom in San Jose are hovering around $2,300. But how does the low-end pricing on a San Jose rental look these days--and what might you get for the price? Over at 536 S 8th St. in Downtown, there's this 683-square-foot, 1-bedroom, 1-bathroom apartment, going for $1,850 / month. In the unit, look for a dishwasher, carpeted floors, closet space, a ceiling fan and plenty of natural light. When it comes to building amenities, expect assigned parking. Animals are not welcome. Walk Score indicates that this location is very walkable, is a "biker's paradise" and has solid transit options. Listed at $1,895 / month, this 504-square-foot, 1-bedroom, 1-bathroom apartment is located at 1617 Mendenhall Dr. in Winchester West. Tenants can expect the unit to feature hardwood floors, closet space, an oven and plenty of natural light. Amenities offered in the building include a swimming pool, outdoor space, on-site laundry and on-site management. Pets are not welcome. Per Walk Score ratings, the area around this address is moderately walkable, is relatively bikeable and has a few nearby public transportation options. 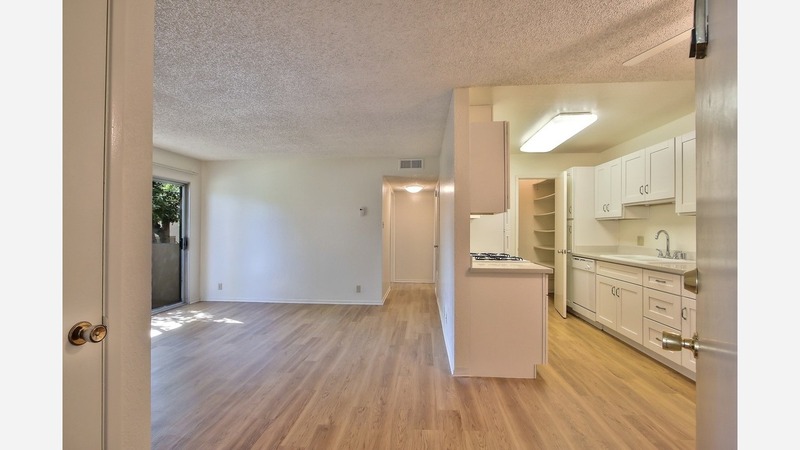 To round things out, there's this 1-bedroom, 1-bathroom apartment at 1505 De Rose Way in North Willow Glen / Gardner, listed for $1,985 / month. In the unit, the listing promises central heating, hardwood flooring, granite countertops, a pantry, a deck, garden access and a walk-in closet. Building amenities include a swimming pool, a fitness center, outdoor space, on-site laundry, an elevator, secured entry, on-site management and storage space. Cats and dogs are not permitted. Per Walk Score ratings, the surrounding area is very walkable, is convenient for biking and has some transit options.